With almost two weeks ahead the 2016 Paris Motor Show, the heat is on as a lot of important carmakers are already preparing their new models for an official display at one of the most important auto events of the year. The German carmaker Audi is also setting the stage for the all-new 2017 Audi Q5, which will be one of the company`s most expected models to make quite an impression. However, the carmaker decided to tease us just a little more by launching a 20-second video which previews the car`s interior high-tech gadgetry like Apple CarPlay or Android technology. We will be dealing thus with a whole-new generation underpinning the carmaker`s latest MLB Evo platform, the same one seen on other models with the Volkswagen Group. This translates in less weight, more lightweight materials, more efficient engines and increased driving dynamics. 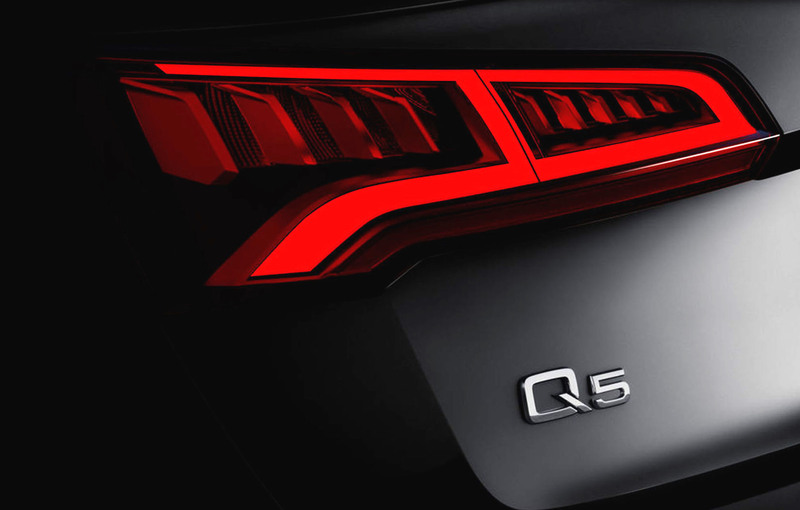 In terms of design, the 2017 Audi Q5 will look extremely aggressive and elegant at the same time, thanks to the newly-developed LED, OLED, Matrix headlights and LED taillights. As we can depict from the short teaser video, the all-new Q5 will also look extremely futuristic with the plethora of high-tech gizmos, along with the improved and higher-quality materials. Thanks to the new platform, which is now more lightweight with around 100 kg, the new-gen Audi Q5 will also come with plenty of room inside for both passengers and their luggage, accommodating a wide range of engines at the same time, petrol and diesels alike, adding a plug-in hybrid version later on. Until full details emerge in Paris, please feel free to watch the short teaser video!